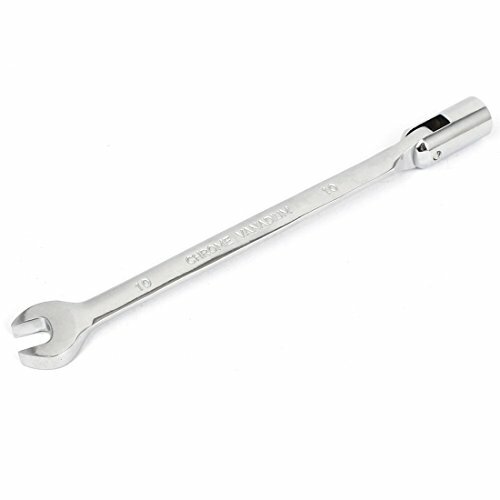 Chrome Plated Finish CR-V Steel Combination Wrench. Swivel head socket wrench socket design. Long pattern provides extra leverage, as well as reach in to tight, confined spaces. The wrench is suitable for auto, bike, motorcycle and home use.